EcoFoam’s Sprayed Polyurethane Underfloor Insulation (SPF) provides a quick and effective way of saving energy and maintaining a more comfortable temperature inside your home… all year round. 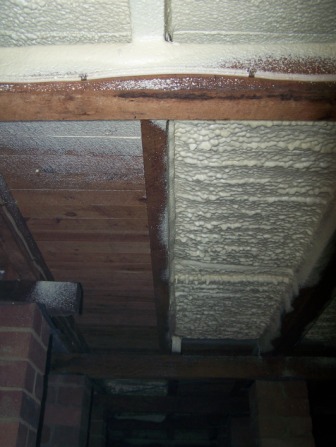 Only a Sprayed Foam Insulation provides a seamless air barrier which seals gaps and eliminates all drafts. This combination of air-barrier and superior insulation value creates an unbeatable system when compared to any other products or methods. Servicing the Eastern Seaboard, Foamed Insulations trading as EcoFoam has maintained an outstanding record of success for over 40 years. Q: Will the foam seal up any cracks in the floors? A: Yes, the foam is sprayed on as a liquid and then rapidly expands into a foam, filling all nooks and crannies. Q: How long does it last? A: Sprayed foams do not shrink, settle or sag. They adhere to the underfloor and will remain in-place indefinitely. They do not decrease in effectiveness over time. Q: Are there any toxic fumes? A: Polyurethane is an inert plastic material once cured and as such, does not emit any fumes or gases. Q: How long does it take? 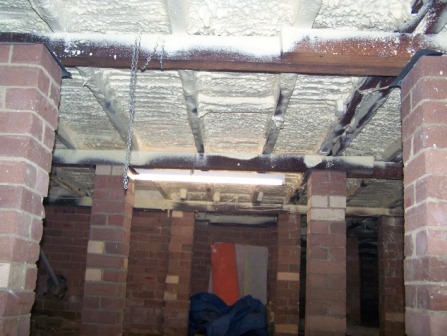 A: Install underfloor insulation in a typical home will take 1 day. Your Next Steps: Call us on 1300 ECOFOAM (1300 326 362) to discuss your needs. Alternatively enter your details for your free quote now and we’ll contact as soon as possible.